The market of used engines and auto parts is progressing day by day as people are becoming aware of its importance and cost effectiveness. But now days there are hundreds of providers of used engines that make our task tedious to find the best among all. However there is one name in this industry Sharper Edge Engines that specializes in used Lincoln Engines and known for providing the quality and genuine products to its customers. We understand how important car is for you that is why we always try to give you best possible options in used engines. All our remanufactured Lincoln Engines have passed identification and verification tests so if you are concerned about authenticity in used engines then you need to visit Sharper Edge Engines without wasting your time anywhere else. Most of the people even today do not understand the value of used engine and believe that only new ones are the best ones but wait and think again because you are wrong. All renowned automobile brands also re-install their used engines in their new cars after proper service because scrapping used engines not only cost them thousands of dollars but also unhealthy for our planet. 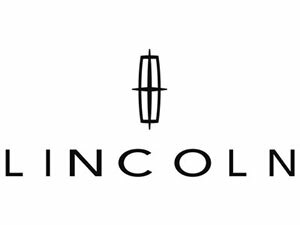 When it comes to count the luxury vehicle brands in America then Lincoln is one of the names that pop-up first in mind. The entire North America is been captured by this brand and currently known for giving some exotic collection on sedans, crossovers and SUV. Even company is also planning to expand their collection by year 2015. This company was established in year 1915 by Henry M. Leland who is also a known founder of Cadillac. The name of the company is inspired from his real life hero Abraham Lincoln. Initially the company is known for manufacturing the Liberty aircraft engines for which cylinders are supplied by the Ford Company. When war was over company was re-tooled and diverted to manufacture only luxury vehicles. Eventually in year 1922 the company was sold to Ford Motors but till 1939 it was operated as separate division for producing the luxury vehicles. On April 30, 1940 it was officially declared that Lincoln has become a division of Ford Motors. We have almost all kinds of used Lincoln engine for sale that you can browse in our inventory and buy either online or in personal. For three decades this full size luxury sedan was sold in the market that is still one of the most common used chauffeured and limousine in entire United States and Canada. You will find its V8 engine with low mileage and in appreciable condition in our store at the price that you would not believe that any other provider can offer. This model in entirely based on Ford DEW98 platform and in our remanufactured Lincoln engine in inventory you will find both V6 and V8. It is one of the classic additions in the category of SUV and in our stock of used Lincoln engine you will find this 4.6L DOHC V8 gasoline engine at most appreciable price. We also have other options in rebuilt Lincoln Engines that can easily provide you high performance that is comparable to new ones. Moreover our entire used engine range comes with complete 3 years warranty.